The Court of Justice of the European Union has accepted to process the recourse presented by the European Platform Against Windfarms (EPAW) (1). 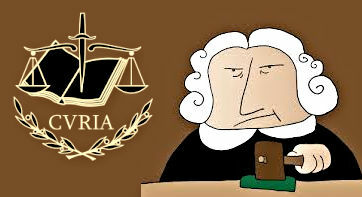 The ruling of the Court is expected in 12 - 18 months. The 608 associations composing the platform are hailing this as a first victory in their fight towards holding the European Commission accountable for the catastrophic results of its energy policy. The rights of European citizens have been violated, they claim, and at long last justice will be done. The Commission has failed to conduct technical studies calculating how many tonnes of fossil fuels will really be saved by the hundreds of thousands of wind turbines it wants to force onto rural populations and on avian and marine life. “As it turns out, various independent engineers estimate there will be no savings at all (2), so the people are more than justified to seek redress,” says Mark Duchamp, the conservationist who runs EPAW.